A detoxifying dual cleansing system that pulls impurities from beneath the skins surface while depositing nutrients from 2 types of clay, 3 types of seaweed and 6 botanicals into the skin, to reveal a glowing complexion. Items can be purchased separately. 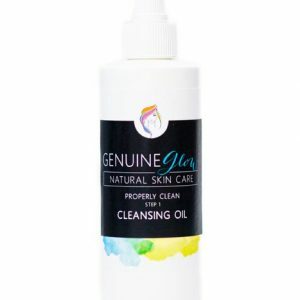 This cleansing system allows the skin to detox and heal through a specially formulated Cleansing Oil that contains high levels of antioxidants and is packed with fatty acids and Vitamins A, C, and E.
After your skin benefits from the Cleansing Oil, the Herbal Fusion Cleansing Gel will perfect your complexion through a light foaming action that releases the nutrients into your skin. 2 types of clay, 3 types of seaweed and 6 botanicals will be absorbed topically to reveal new and glowing skin. High in antioxidants, minerals and vitamins with an energetic aroma. Seaweed contains naturally high levels of iodine. Rhassoul Clay – Rich in magnesium, sodium, calcium, aluminum, iron, and silica, Rhassoul clay is great for replenishing minerals in the skin while it acts as a detoxifyer. It has anti-wrinkle, anti-aging and moisturizing properties. White Kaolin Clay – Purifies and boosts cell renewal while deeply cleansing skin. Great for all skin types as it nourishes and detoxifys without being too drying or irritating. White Kaolin clay has natural absorbency properties, helps stimulate skin circulation, and gently cleanses and exfoliates. Irish Moss Seaweed – Contains Vitamins A, E, F and K, as well as calcium, potassium, sulfur, and iodine. It is harvested for its nutrients as well as its emulsifying abilities, which play a huge role in recapturing the youthful properties of your skin. Kelp Seaweed – A natural anti-inflammatory agent and does a great job reducing toxins, adding moisture, and making your skin sparkle. Kelp seaweed has high levels of iodine, calcium, iron, potassium and Vitamins B1, B2, and B12. Dulse Seaweed – Contains natural anti-inflammatory, detoxifying, and moisturizing properties as well as high levels of Beta-Carotene, calcium, iron, potassium, zinc, and Vitamin C.
Maca – Contains 20 essential fatty acids, calcium, potassium, iron, magnesium, phosphorus, and zinc. Purifying and calming, it is great for all skin types. Noni – A fruit whose juice is a rich source of Vitamin C. It’s anti-aging and anti-inflammatory properties make it a great ingredient for all complexions. Oatstraw – Contains a variety of vitamins as well as magnesium, calcium, chromium, and fiber. 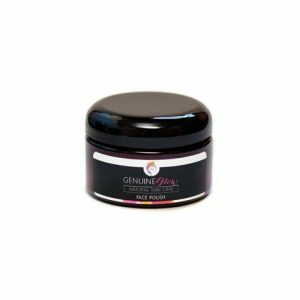 Promotes skin softness while it calms and soothes the complexion. Yarrow – Promotes skin circulation and has anti-inflammatory qualities that make it a great natural astringent. Fights bacteria and supports healthy skin. Rice Flour – Has anti-aging and oil-absorbing properties that makes it good for oily, acne-prone, or dull skin in need of a boost. Exfoliates, purifies, and re-mineralizes skin to polish and renew. Apply a quarter size amount of Cleansing Oil onto dry skin at night and massage in a circular motion. The Cleansing Oil will remove makeup. Rinse well and follow with a quarter size amount of Herbal Fusion Cleansing Gel or apply the Herbal Fusion Cleansing Gel directly onto skin, over the Cleansing Oil. After applying, lightly dampen the skin and massage to allow the nutrients to be absorbed. 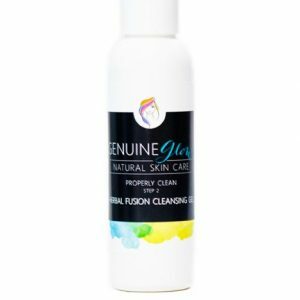 Rinse well and follow with Genuine Glow’s Clarifying Toner, Vitamin Infused Serum and/or moisturizer. Tip: This Properly Clean Dual Cleansing System can also be used as needed to purify the skin. Some of our clients enjoy using this system 2-3 times a week, 1 week each month or before big events to keep skin balanced and thoroughly clean. I order this set once every 2 months. 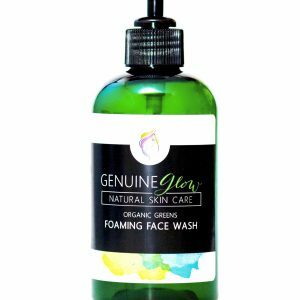 I use the Cleansing Oil a couple of times per week and the face wash constantly. I alternate b/w this and the Organic Greens. I love how clean and soft my face feels. Very simple to use, very effective face wash. Really like this set. This is probably one of the best skin care sets I’ve ever used. I use the Herbal Fusion everyday and the Cleansing Oil every few days. My skin has never looked better. I use all of Genuine Glow’s face washes. It’s hard to pick a favorite but this keeps my skin clear and even toned. I am prone to redness, but this has kept my face calm. I use every night and follow with the Clarifying Toner and Beauty Sleep. My skin looks awesome!